TAICHUNG, TAIWAN - A Taiwanese supplier of components for Japan’s new regional passenger jet said Thursday it plans to complete essential work in the second quarter of this year, hoping to bring the aircraft closer to production configuration before its projected entry into service in 2020. A specialist at the Taichung plant of the Aerospace Industrial Development Corp. said workers have been toiling around the clock to redesign and manufacture the slat and belly fairing of the Mitsubishi Regional Jet. “We hope to complete the job in the second quarter,” he said on condition of anonymity. AIDC is the single-source designer and manufacturer of those two components, as well as five others, all of which are made of a substantial amount of composite materials. 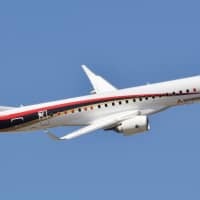 The MRJ program is the company’s first original design manufacturer project for a regional jet involving the design and manufacture of composite materials. Chairman Anson Liao said his company is proud to be the sole foreign provider of the aircraft’s structural components. 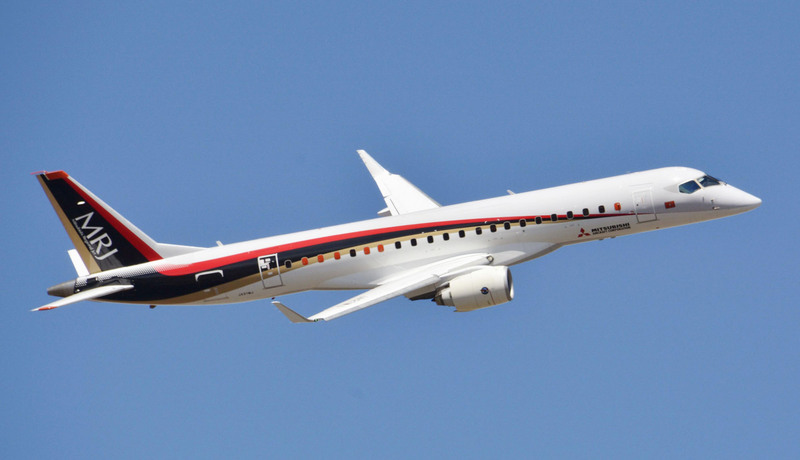 The MRJ program was undertaken by Mitsubishi Aircraft Corp. in 2008 to produce Japan’s first passenger jet. The MRJ family of fuel-efficient regional jets includes the 90-seat MRJ90 and the 70-seat MRJ70. After a number of delays, the MRJ90 prototype finally made its maiden test flight in November 2015. The goal is to deliver the first plane to All Nippon Airways Co. in mid-2020. The original target was 2013. The regional jet market is estimated to be worth $120 billion (¥13 trillion) over the next 20 years, with 40 percent of the value coming from planes seating 70 to 76 in the North American market, according to FlightGlobal’s 2018 Flight Fleet Forecast. Also manufactured at the same AIDC plant is the prototype of Taiwan’s first indigenous attack trainer, which will replace its air force’s aging AT-3 Tzu Chung attacker trainers and F-5E/F Tigers. Liao said half the work has been completed. The company plans to roll out the finished product in September this year and conduct the first test flight the following June, while the air force expects mass production to start in 2023.